Andre Liebenberg, Chief Executive Office of Yellow Cake, commented: We welcome the support from both our existing and new shareholders to enable us to increase the size of our fundraising, and consequentially to now purchase 1.175 mmlb of uranium at the firm price of US$25.88 per pound. 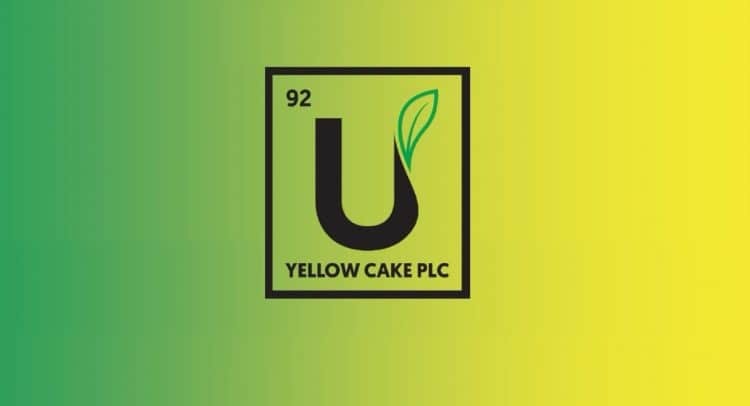 Yellow Cake plc (AIM: YCA), founded and established by Bacchus Capital to be a specialist company operating in the uranium sector with a view to holding physical uranium for the long-term, is pleased to announce that 12,000,000 new Ordinary Shares (the “Placing Shares”) have been placed with existing and new institutional investors at a price of £2.15 per share (approximately US$2.81) (the “Placing Price”) via an accelerated bookbuild (the “Placing”). Due to strong investor demand, the Company agreed with the Joint Bookrunners to increase the size of the Placing to £25.9 million (approximately US$33.9 million) from the £22.9 million (approximately US$30.0 million) originally proposed. The Placing was conducted utilising the Company’s existing share authorities. The Placing Price represents a discount of 4.0% to the Company’s Net Asset Value (“NAV”) on 31 March 2019. As part of the Placing, certain of the Company’s directors have subscribed for 39,086 new Ordinary Shares at the Placing Price. Application has been made for the Placing Shares to be admitted to trading on the AIM market of the London Stock Exchange plc (“AIM”) (“Admission”). It is expected that Admission will become effective at commencement of trading on 16 April 2019 and settlement is expected to take place on the same date on a T+2 basis. Numis Securities Limited (“Numis Securities”), Joh. Berenberg, Gossler & Co. KG, London Branch (“Berenberg”) and Cantor Fitzgerald & Co. (“Cantor”) acted as Joint Bookrunners (Numis Securities, Berenberg and Cantor, together being the “Joint Bookrunners”). Bacchus Capital Advisers acted as Financial Adviser.